Format: RINGBOUND, 2nd ed., 160pp. Health and fitness experts agree that keeping track of one's exercise habits helps to improve performance and motivates a person to continue an exercise regime. This log provides four pages per week to do just that, as well as space to note goals, accomplishments, and a weekly self-evaluation. 30 line drawings. Anyone who has struggled to maintain a consistent exercise routine will welcome this helpftul, motivating book. The Ultimate Workout Log keeps you in shape with specially designed pages to note goals and evaluate performance. Also includes injury prevention guidelines, calorie-burning charts, cardiovascular tips, diagrams of muscle groups, and other essential fitness information. Health and fitness experts agree that keeping track of exercise habits helps to improve performance and motivates a person to continue an exercise regime. This completely revised and updated edition of the ever-popular Ultimate Workout Log helps athletes of all levels, from aerobics instructors to triathletes, to track their progress for six months. Complete with designated space for cardio exercise and weight training, this informational guide also provides tips on nutrition and new recommendations for injury prevention. 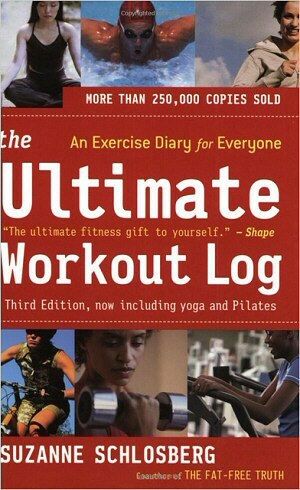 The Ultimate Workout Log: An Exercise Diary and Fitness Guide - Amazon's online bookstore.